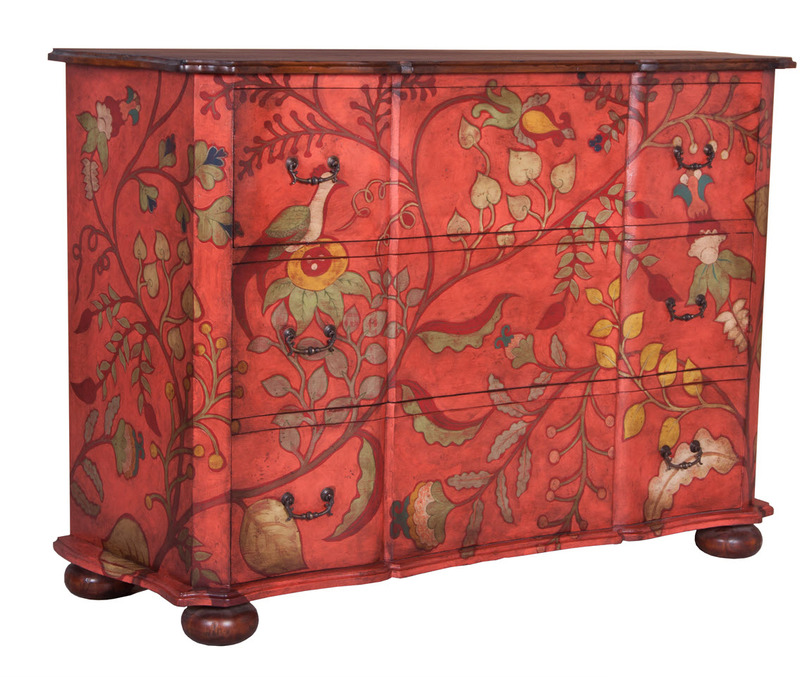 DUCHESS CHEST - Hand painted floral and tropical Art over red finished on hand carved mahogany chest. Deep Forest Stain finish on chest top and bun feet. Antiqued hardware.